Everyone faces trouble at some time in their lives. For some it is getting arrested. For others, it's a disintegrating relationship. Both are demoralizing, confidence-sapping events. It's at this point in your life that you need a strong ally. You need Care Enichen, Boulder's criminal defense and family law attorney. 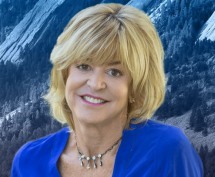 Care Enichen has spent over 15 years as a judge in Boulder County. Her long experience on the bench works to her clients' advantage today. She now focuses on family law including divorce, custody and child support, and criminal defense including DUI/DWI, drug charges, assaults, domestic violence, driver's license suspension and traffic violations. After 16 yrs as a Boulder County Judge, Care's focus is now on representing clients in criminal defense and family law cases in and around Boulder, Colorado. Care Enichen, Attorney At Law Dietze And Davis, P.C.